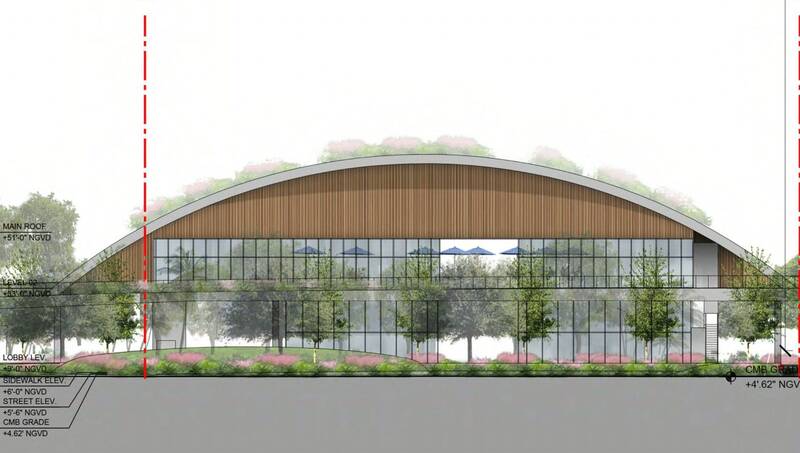 Crescent Heights has submitted plans for the 500 Alton tower for city review. If approved, it would essentially match the height of the tallest towers in the city, with a roof height of 557 feet above ground. The Blue and Green Diamonds are by far the tallest in the city at 559 feet. 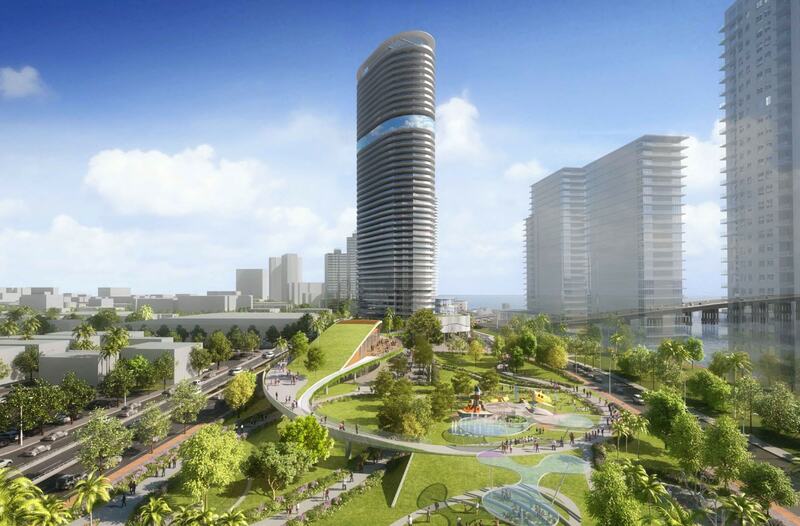 In addition to the tower, a public park is planned, which will include a two-story retail building. Two surface parking lots with 104 spaces are planned in the park, including one with 78 spaces for The Floridian condo building. 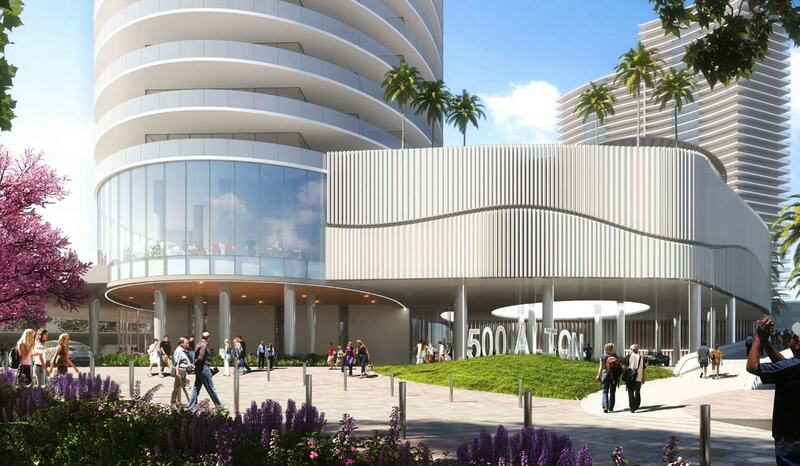 The Miami Beach Planning Board is scheduled to review the proposal on April 30. Magnificent.. what a beautiful entrance to South Beach and Alton Road, this project will make. The bridge is ugly, hopefully a new design is found. About time Miami Beach got a new tallest. 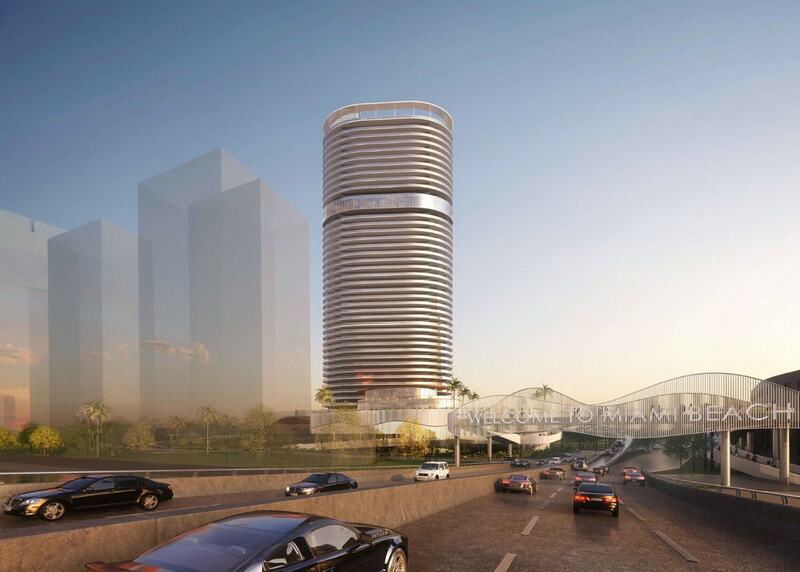 The complex with its open and retail spaces would make a great Baylink Metrorail stop, too! Seems like a positive project overall but why are there two surface parking lots? It should be 1,557 FT tall! They certainly swindled their way to that height. Props to Mr. Galbut for his negotiating skills. Everything looks great, but the sign of “Welcome to Miami Beach” has also think in the possibility of a train passing through the sign; nevermind, What train? Pass OVER it via an elevated Metrorail or… a Disney-style monorail– with a station across from the tower. based on the unit sizes I am a little less certain they are going to be condos.. If they’re condo this will be next cycle. But Russ said they couldn’t be rentals.. had to be a super tall tower with 13 foot ceilings sold to out of towners who would never be there. Why 78 out of 104 parking spaces reserved for Floridian? Miami Beach residents are SCREWED again by the Planing & Design Review Board. An “All Concrete Bunker Entry Way to Miami Beach”, No Palms Trees, No Greenery, No Idea that this is your first impression / introduction to the “IsIand Paradise” that once was. The Park should have been placed at the very ENTRY !!! – with developer’s monstrosity behind !!! Why would you want a park that is less accessible by residents? The location of the park is perfect for residents, as it is now closer to the dense residential buildings on West Avenue. Why walk another two or three blocks past this project to get to the park? In the location you are suggesting, the building also would directly block eastern views of both Bentley Bay and the Floridian buildings. The current location will not entirely block any existing views. This also provides the developer the best bang for his buck, as buyers will only pay prices that make the project feasible with the bay view this location provides. The city would not be getting 3 acres of a public park with your suggestion. There is a fantasy world and then practical world. You are living in fantasy world, as your proposal would make no sense for the developer, and would deprive residents of this beautiful park. Logical, but this reader is an Idiot. Don’t try to explain. If I lived there the only I would feel screwed is if and when my rent or taxes go up. You should research the evolution of city planning and Urban design. “Island Paradise” is a marketing term, sorry to disappoint.